If you're staying at a hotel in a busy city centre, light pollution can be a serious issue. Even the tiniest crack in your curtains could illuminate your room well beyond comfortable sleeping levels. So: Head to your closet. No, not to sleep in there - put that pillow back on your bed. You want to look for a hanger in there - the kind with the clippy bottoms you use for pants. 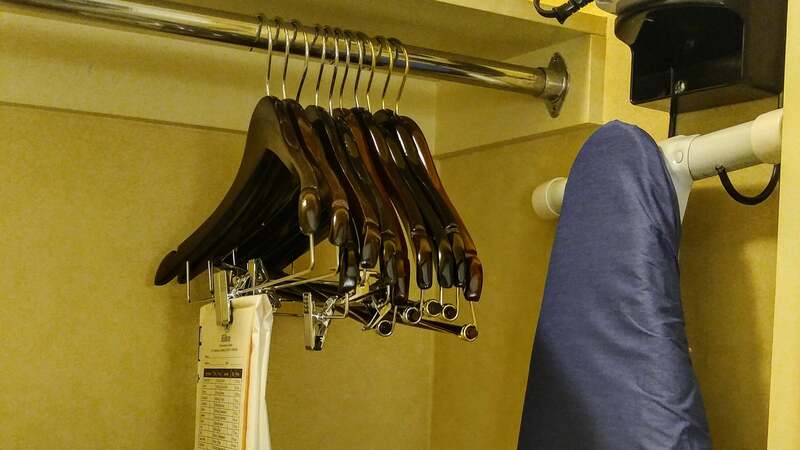 Once you have it, do what Jeff Darcy suggests on Twitter and use the clips on that hanger to close up the gap in your curtains. This will ensure that no light creeps in. If your closet doesn't have any of the clippy hangers (or they're attached to the rod because apparently there's a world-class hanger thief out there), a binder clip, clothes peg, or even the clip on a pen cap might work in a pinch. Now: Sleep tight, don't let the bed bugs bite (seriously), and enjoy that free continental breakfast in the morning.